Remember when we told you about LittleBigPlanet PSP's co-op? Well unfortunately, we were misled. 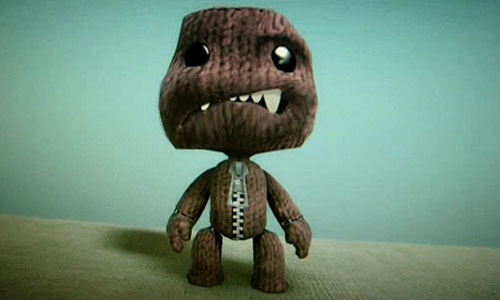 LittleBigPlanet on the PSP will not feature the co-op that we know and love in the cute little big world. "The one thing we've lost is multiplayer. You've got full physics systems, you got full create mode, you've got all the aspects of LittleBigPlanet - you can upload, download, ad-hoc share with people - but we haven't got multiplayer,"
Then Mr. Green went on to explain more-or-less why this came to be. "It's a trade-off. The system is physically capable of doing multiplayer, but perhaps not with the full physics system. On the technical side of things you lose a third of the processing power or a third of the system memory just to do multiplayer at all. With those limitations we couldn't achieve it." We'd like to tell them that without co-op, they don't have all of the aspects of LittleBigPlanet intact. One of our favorite things about Little Big Planet was smacking our friends around - I mean, playing co-op. And now my friends, that little big pastime is lost to the PSP.